This page was last updated 24 June 2013. 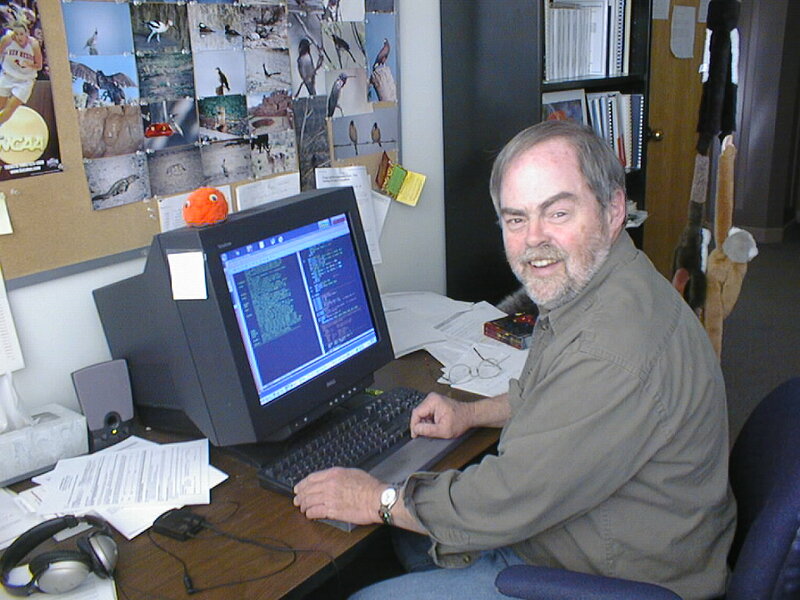 I am a Scientist at the National Radio Astronomy Observatory. 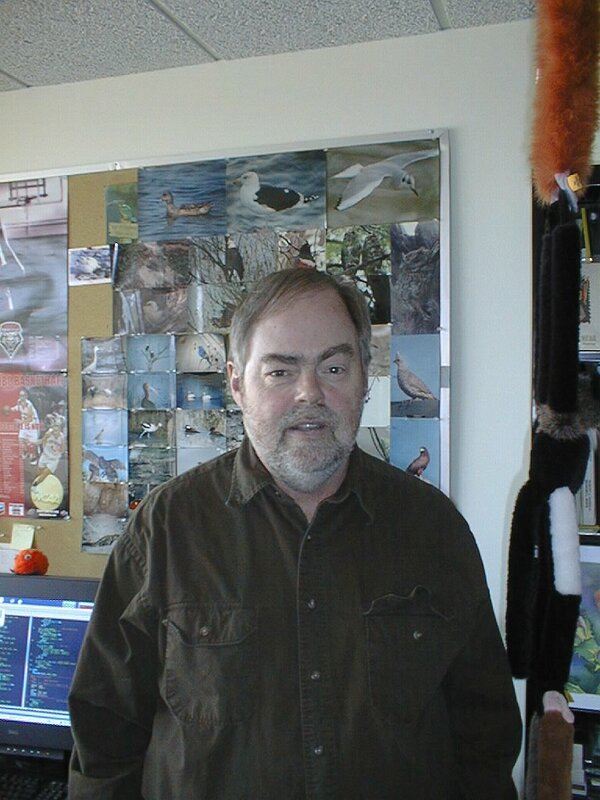 I have been stationed at NRAO's headquarters in Charlottesville, Virginia since 1972. The job has now transferred me to Socorro NM on a permanent basis. 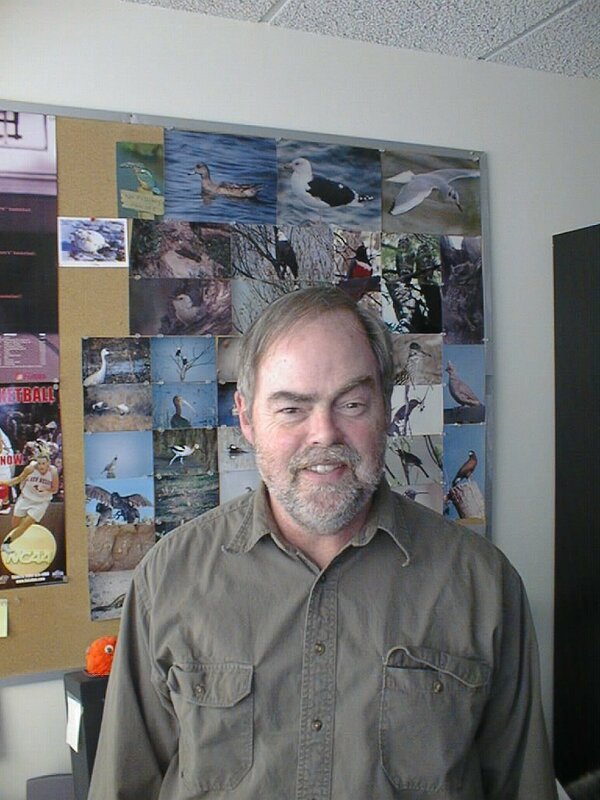 Recently, I was suprised to be told that I had won the Van Biesbroeck Prize of the American Astronomical Society; see the press release describing the award. 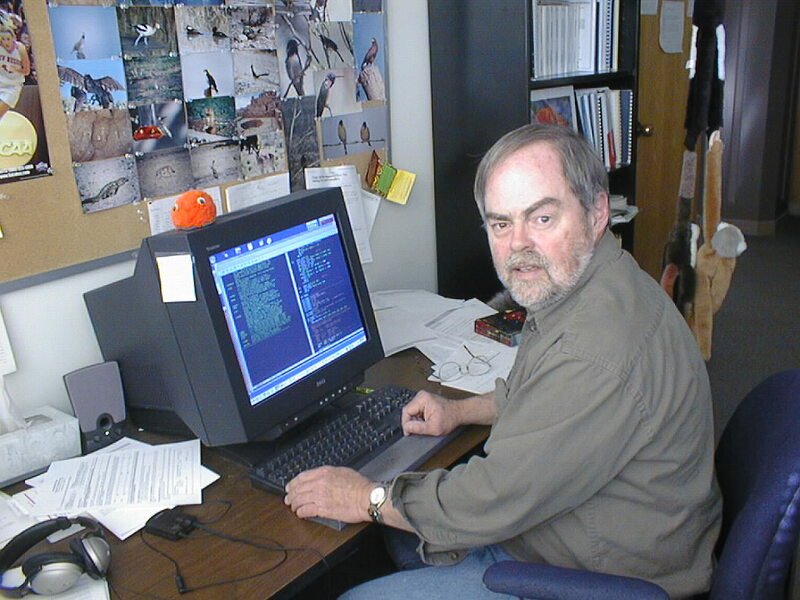 Eric W. Greisen in his office, Socorro, NM, January 24-25, 2005.